At Bellarine Veterinary Practice, Geelong, our clinic staff are committed to providing quality care for life. Our support staff, like our veterinarians and vet nurses, are passionate about animals and understand the complex animal/human bond. They will work with you to achieve the best possible solution for your pet, whether they are need veterinarian care for senior pets, or puppy training. Our professional and understanding staff are honest, reliable and caring, and will treat you and your pet with compassion, empathy and respect. Our vets, nurses, receptionists and support staff won’t settle for less, why should you? 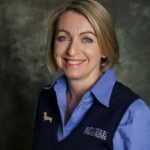 Sandra has been a familiar face at Bellarine Veterinary Practice since 1984. 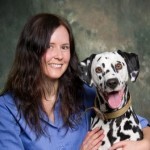 She has filled various roles throughout this time – starting as a veterinary nurse, then receptionist and is now our Office Manager. Sandra has a schnoodle called “Tonks” and a ginger cat called “Kevin”. Aaron oversees the financial management of Bellarine Veterinary Practice so that the rest of the team can do what they do best – care for animals. Aaron has experience in managing Geelong businesses and brings a great balance to our team. He owns a very handsome black and white cat called Solomon. 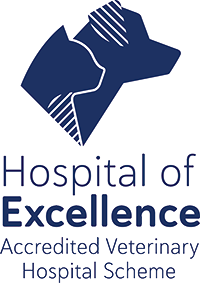 To ensure our hospitals, consultation rooms, equipment and kennels are in tip top condition and our patients taken care of, we employ a team of young people who assist us on a daily basis. Some of our assistants are also training in reception. We appreciate your patience as they develop and grow their skills and responsibilities. Make an appointment at one of Bellarine Veterinary Practice’s Geelong clinics, and discover for yourself our staff are not only skilled but caring.